For the year 2019, the alliance of law firms, TAGLaw, with Z/C/H Legal being a member since 2014, has been awarded for the sixth time by the international Chambers&Partners rating agency as an elite global network. Since its establishment in 1998, TAGLaw, currently associating approximately 160 law firms in more than 90 countries, ranks among the largest legal alliances in the world. In 2019, the expert team of Chambers&Partners rating agency awarded only nine out of more than 170 legal alliances worldwide as an „elite global network“. Even this year, Z/C/H Legal was chosen by the British Corporate INTL Magazine the firm of the year in franchising. We have defended the title „The Best Law Firm of the Year in Franchising in the Czech Republic“ for the seventh time in a row. The award is based on a qualified assessment by an expert Corporate INTL team. The law firm Z/C/H Legal has a new rating by the clients available at the IFLR1000 website. Our clients here praise the professional approach of our law firm and a high standard of services provided to them. We very much appreciate such evaluation. IFLR1000 is a rating agency focusing on leading global financial and corporate law firms and lawyers. It has been operating since 1990 and is currently evaluating law firms in more than 120 jurisdictions around the world. The prestigious international rating agency, The Legal 500, continues to monitor successes of our team. This year, it has even increased our rating and we have thus moved one notch up. The Legal 500 awarded in particular our wins in the area of the “Real Estate and Construction“ where we moved into a 3-rating group and thus became one of the leading law firms in this segment on the Czech legal market. 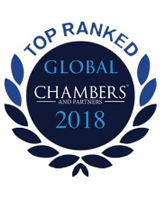 In 2018, the alliance of law firms, TAGLaw, was again awarded by the international rating agency Chambers&Partners as an elite global network. TAGLaw, which is an association of approximately 160 independent law firms, was awarded for the fifth time in a row. The “Elite“ label is awarded by Chambers&Partners since 2013 to an international network particular on the basis of the quality of services of its partner law firms and the international outreach of the alliance members. In 2016, only 10 out of more than 170 international alliances currently operating on an international scale were awarded the “Elite“ label. The British Corporate INTL Magazine, which offers namely consulting services in international business and finance, awarded Z/C/H Legal the firm of the year in franchising in the Czech Republic for the year 2018. Z/C/H Legal obtain this award for franchising for the 6th time in a row. The award is based on a qualified appraisal by an expert team of Corporate INTL. This year, Z/C/H Legal succeeded for the eighth time in the rating by the prestigious international rating agency The Legal 500. We have been ranked as one of the best law firms on the Czech market in the category of “Real estate and construction“. The agency particularly appreciated our experiences in the field of leasing for retail. The international rating agency Chambers&Partners, which compiles annual ratings of the most successful providers of legal services on the market, has introduced its rating for 2017. The rating is performed by an extensive team of experts, which evaluates in particular professionalism, quality and overall level of services. Z/C/H Legal has been evaluated as the “Recognised Practioner“ in the field of real property law. We have been thus ranked among 16 best law firms in the Czech Republic which provide real property law services. The publisher of the popular Corporate Intl. Magazine associating leading entrepreneurs, financial advisors and attorneys worldwide has awarded the work of ZCH in franchising as the best in the Czech Republic. The award is granted upon secret ballot cast by individuals qualified in the field. ZCH has been the award winner since 2010. The renowned rating agency IFLR1000 has awarded Z/C/H Legal for 2017 in the fields restructuring and insolvency, banking and financial and corporate law, including M&A. The renowned rating agency Chambers & Partners has again ranked TAGLaw alliance amongst the elite legal alliances and granted it the right to use the “Elite Law Firm Network“. Z/C/H Legal has been a member of the alliance for two years now. The ranking is based on the quality of TAGLaw’s independent law firm members and the overall global reach of the alliance. Z/C/H Legal is the only member of the TAGLaw alliance in the Czech Republic. Thanks to the membership, we may provide our clients with global reach to legal and economic advisors nearly anywhere in the world. Would you like to incorporate your company in Singapore? Are you being sued by a customer in the US? We will recommend you a law firm that would provide you with legal advisory in the same quality you are accustomed to from our law firm. TAGLaw is an international alliance of more than 389 law firms from 90 countries worldwide, which encompasses more than 10 thousand professionals. It is now considered the fourth biggest alliance in the world. In 2016, The Legal 500 has again highlighted the quality of legal services provided by Z/C/H Legal. This is the seventh consecutive time Z/C/H Legal has been recommended in “Real Estate and Construction” and the fifth time in “Commercial, Corporate and M&A”. The Legal 500 Series is widely acknowledged as the world’s major legal referral guide. The renowned British Corporate INTL Magazine has awarded Z/C/H Legal v.o.s. the title Law Firm of the Year 2016 for Franchise Law in the Czech Republic. Z/C/H has won every year since 2012. The Corporate INTL Legal Award is granted to law firms providing advisory services on the highest level. The assessment of law firms considers not just the professional skills and knowledge but also the level of services rendered to clients. This year, the rating agency IFLR1000 providing independent assessment of companies operating in the field of finance placed the law firm Z/C/H Legal in its 26th issue of the IFLR1000 Magazine as a recommended law firm in the sections “Financial and Corporate“ category for 2016. IFLR1000 is considered one of the most influential rating agencies in the world. As an independent member of TAGLaw, ZILVAROVÁ CTIBOR HLADKÝ can provide its clients with access to high quality legal, accounting and financial representation around the world. The renowned British Corporate INTL Magazine awarded the law firm ZILVAROVÁ CTIBOR HLADKÝ again by the title Legal Firm of the Year in the Czech Republic for 2015 in the Franchise Law and Leasing Law category. The Corporate INTL Legal Award is granted to law firms providing advisory services on the highest level. The assessment of law firms considers not just the professional skills and knowledge but also the level of services rendered to clients.